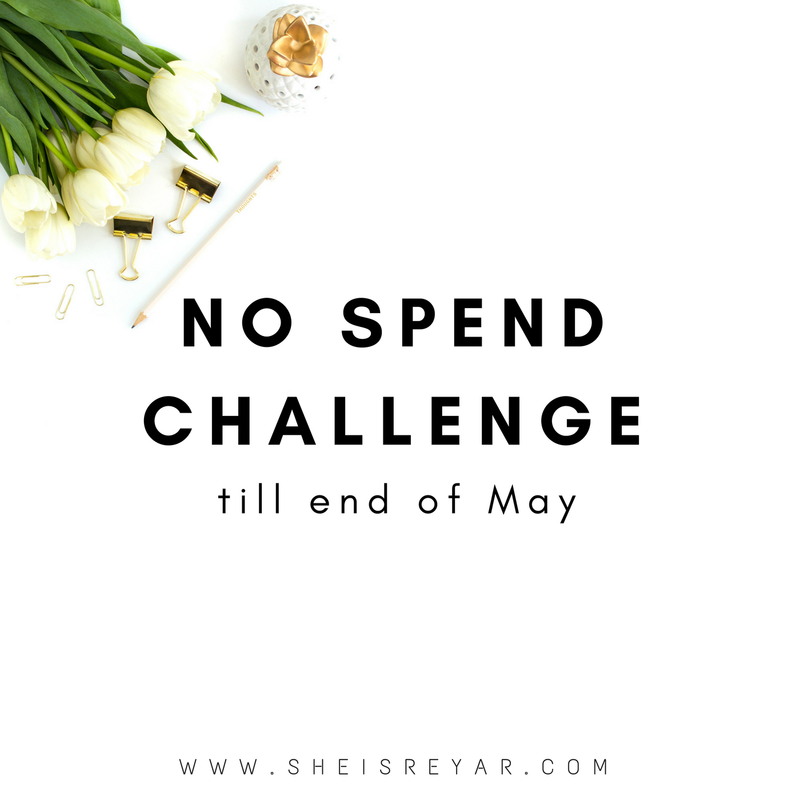 I started a no spend challenge at the first week of April and I want to try it for 2 months, till the end of May. I am trying to save money but as you know I love shopping and trying new types of makeup and skincare so I always ended up buying things that I don't really need. I tried minimalism a while back and I really enjoyed it for the period of time that I tried and want to go back to staying simple and living with less. My current lifestyle is kind of unhealthy. I love watching movies and spend time in front of my computer. Whether it'd be watching movies or blogging or editing my photography. All in all, it is really unhealthy. With that, I get exposed to a lot of things and advertisements. Usually, I can control the urge to shop but when I was interested in something, I couldn't control the urge. So, this time round, the reason why I am doing this "No spend challenge" is to save money since I bought an entire set of skincare a while back and it costed me a lot of money. With my no spend challenge, I want to put some rules. - I am not allowed to buy electronics. - I am not allowed to buy skincare unless it needs replacing. - I am not allowed to buy clothes except for my work clothes for interviews and such. But that is limited to 2 clothes and must not spend over SGD100. - I am not allowed to buy some trinkets that I don't need. Things that I am allowing myself for during this challenge. - I am allowed to eat out once a week. - I am allowed to take cab once a week. - I am allowed to buy groceries. - I am allowed to recharge my transport card and I am allowed to pay my bills and my school fees and my rent. I started around 2 weeks already and I spent around SGD13 on things that I was allowed to spend on skincare item. I bought Innisfree Green Tea Seed Serum for SGD13. It was originally SGD37 but I spent my points on the item and I only paid SGD13 for the serum. Although I didn't need it but my previous green tea seed serum ran out and I really enjoyed using it. Another product is that I bought a new shirt. Although I did say that I am not allowed to buy a shirt but I wanted a new shirt for a while now. I haven't buy a shirt in more than 4 months and I really wanted one so I will not be buying any shirt for a while now that I got one. With this 2 weeks, I have taken 2 cab rides from my home to school with SGD7 each trip. I have not yet eaten out during this 2 weeks and I went to 2 trips of groceries at the cost of SGD22 combined. I will do another update on another 2 weeks or so. I hope this will inspire you to save your money and not spend so much.